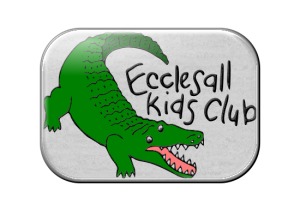 Ecclesall Kids Club will ensure that the premises from which it operates are covered by an up to date Fire Safety Certificate and seek assurance from its landlords that the buildings comply with Fire Regulations. The Fire Officer for the Infants is Ian Grayson (Infants Coordinator) or his Deputy Denise Bluff and the Juniors, Tina Grimshaw (Juniors Coordinator) or her Deputy Anna Wilkins. Ensure Fire Exits are clearly marked and available for use at all times. Ensure all staff are familiar with the action to take in the event of a fire. Ensure all staff know the Location of Fire Extinguishers, fire Alarms, Fire Exits and Assembly Points. Ensure the correct amount of extinguishers are available. Ensure Fire Blankets are available if necessary. Ensure the extinguishers are checked and in good order, clarify any queries with the landlord. Ensure all staff and children are made aware of the Fire Safety Procedures, location of fire exits and the assembly points. Log and carry out regular fire drills, at least one each term. Ensure any staff who are expected to use Fire Safety Equipment are trained in its use. There will be at least one fire drill per term. The Fire Safety Officer will ensure that all staff are aware and understand the Fire Drill. The Fire drill should take place at different times and days. Different areas of the play settings should be designated as being on fire to check the different exit routes are used to leave the Club. The Fire Drill will be recorded, including date, time, duration, staff involved and any difficulties logged and dealt with. Ensuring the No Smoking Policy is observed at all times. Ensuring no power points are overloaded with adapters. Regularly checking electrical equipment is working as expected and there are no loose or trailing wires. Storing any flammable materials safely. If appropriate the Coordinator or Deputy Coordinator will contact the emergency services. All children will be escorted from the building to the assembly point using the nearest safe exit. No attempt will be made to collect personal belongings, or to re-enter the building after evacuation. A nominated member of staff will check the premises and will collect the register (including emergency contact details) providing that this does not put anyone at risk. Before leaving the building the nominated person will close all accessible doors and windows, if it is safe to do so. The register will be taken and all children and staff accounted for. If any person is missing from the register, the emergency services will be informed immediately. The Coordinator (or their Deputy) will contact parents to collect their children. If the register is not available, the Coordinator (or their Deputy) will use the emergency contacts list (which is kept off-site). All children will be supervised until they are safely collected. If after every attempt, a child’s parent or carers cannot be contacted, the Club will follow its Uncollected Child procedure. If the Club has to close, even temporarily, or operate from alternative premises, as a result of the emergency, we will notify Ofsted.